SRII's books are distributed by eddy.se ab. 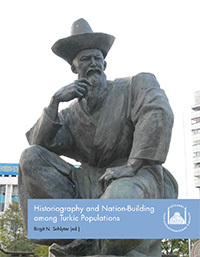 This book marks the end of a long-term project (2007–2014) for the promotion of Central Asia research in the post-Soviet era. The project was conducted within the framework of Stockholm International Program for Central Asian Studies, SIPCAS, initiated at Stockholm University and conducted since 2012 from the Swedish Research Institute in Istanbul with funding from The Royal Swedish Academy of Letters, History and Antiquities and The Swedish Foundation for International Cooperation in Research and Higher Education.